CallVU’s digital engagement platform is an ideal solution for the roadside assistance and vehicle management arena. 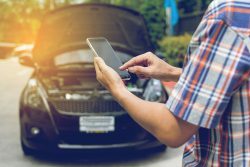 The roadside assistance industry typically involves a three way communication system, between the customer, the insurer and the service mechanic that is prone to error and miscommunication. CallVU’s digital engagement platform enhances the operational efficiency of the entire process; from first contact through to resolution. By automatically capturing live data, the digital system can also be used to monitor every activity undertaken throughout the entire incident. This valuable data can be used for in depth reporting and analysis, both in specific jobs and across aggregate levels. By providing transparent insights, insurance companies can more accurately assess the true performance and ROI of their roadside assistance programs. The innovative technology delivers measurable outcomes for insurers across a number of business objectives, including operational, financial and customer experience. CallVU’s digital engagement platform eliminates the hazards associated with using low tech road side and analog systems. The heightened level of integration ensures that each roadside assistance incident is addressed efficiently. Digital information collected from the customer can include their location, car details, a photograph of the situation and a description of the problem. With more information, service mechanics can arrive at the incident better equipped, enabling them to move on to the next customer request much faster. By collecting real-time data of vehicles (mileage, age of car, make & model) and drivers (driving experience and dangerous driving behaviour), insurance companies can analyze the actuarial risk level of each customer. Equipped with this information, insurers can adjust their premiums accordingly and provide optimal rates to low-risk customers. The real time communication of CallVU’s digital engagement platform reduces the average arrival time by as much as 50%. The innovative technology provides customers with access to live tracking and the ability to request a replacement vehicle amongst a range of activities. A multi-party notification system can be implemented to provide complete real-time information to all relevant parties directly and tangentially involved in the roadside assistance event. 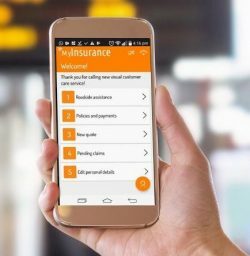 At the time of the event, notifications can be sent to the insurer, the customer, and the roadside service’s office portal. Each are provided with real time visibility into the event, enabling proactive monitoring and service coordination. These features have produced exceptionally positive customer review scores, yielding average CSAT and NPS scores of 83 and 92 respectively. These efficiencies capture a level of customer loyalty that drives a lifetime of policy renewals.